CRITICAL ENGAGEMENT WITH IDEAS IS VITAL FOR DEMOCRATIC CITIZENSHIP. The Philosophy Club partners with schools and communities to build a culture of critical and creative thinking through collaborative philosophical enquiry. 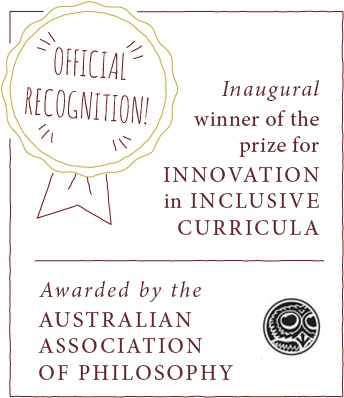 We run prize-winning workshops for students, and hands-on training programs for teachers providing practical tools to extend students’ thinking. We offer a vision for whole-school transformation, fostering a school-wide culture of effective thinking. All our programs support deep learning, collaboration and self-efficacy. We have partnered with a range of primary and secondary schools in the Melbourne area, as well as with universities and with local civic and cultural organisations including The City of Melbourne, Embiggen Books, The Wheeler Centre for Books, Writing and Ideas and Library at The Dock. We look forward to working with your school or learning community.